CHERY QQ RM 17 236.OO FOR MT AND RM 19 184.80 FOR AMT IN LANGKAWI. MORE CHEAPER THAN A KANCIL!! CHERY QQ – Low Fuel Consumption. First of all, i want to talk about the facts of the Chery Automobile.Chery Automobile is the No.1 largest China brand car manufacturer and also the 1st China carmaker to be awarded ISO/TS 16949 by TUV Germany. Many people say that there are a lot of European car in China. As example, Volkswagen is one of the most popular car brand in Beijing. How about at the other side of China like Shanghai and Guangzhou? We all don’t know right? If you all know, let’s share with us. Chery QQ is a city car which is the No.1 China best selling compact car over 250 000 sold worldwide.It is also the fuel saver champion ( 3.55 litre for 100km in China fuel-efficiency contest). For the Malaysian market, the Chery QQ comes with an 812cc 12 valve 3 cylinder EFI DOHC engine, making 52hp at 6,000rpm and a max torque of 75.5 Nm between 3,500 and 4,000rpm. It comes with a 5-speed manual transmission (MT) and auto manual (AMT).Good news is the car comes with a power steering system.It is a good choice for Malaysians. The Chery QQ price in Langkawi only for RM 17,236.80 (on the road without insurance) for manual transmission and RM 19,184.80 ( on the road without insurance) for auto manual. But, that price only in Langkawi. In Malaysia the price is about RM RM39,888. The solid cage like structure can resist more impact than the square one, and can keep the car in good shape even in crash or rolling. Starting with design concept, the high technology content ensures more safety. 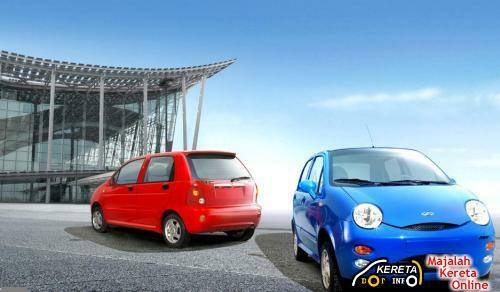 Below are the price comparison with the other car model in Malaysia. Chinese automotive workers install an engine into a Chery QQ model car at their factory in the Wuhu, Anhui Province. Chery QQ – Cute car with four door. Seriously say,I prefer Kancil over this QQ.In SG many QQ owners regret buying this car.Many stupid fault suchs as A/C,Noisy sound,Gearbox failure,Quality issue etc..China brands you get 1.3cc above better.Where in the world got cheap product good buy?Safety dun even think about it.The crash rating is worse than you can imagine.Go for Chery A1 better. Betul tu…Kancil memg lg bagus.Tak byk masalah…Kancil pun antara kereta yang paling banyak kat M’sia..sepanjang 4thun pakai kancil 660cc dan kancil 850cc (dah jual)..memang xde langsung masalah yang teruk…semuanya minor prob..tp Chery QQ pun ok juga..sesiapa yang da pakai Chery QQ, bolehla kongsi pengalaman anda di sini..
Boleh berikan komen2 anda mengenai Chery QQ disini..
lagipun harga atas tu untuk langkawi ja..
Jangn terpedaya ngan harge murah je,Banyak faktor lain yang kalau diutarakan boleh jadi flame war.Angkat Viva ke Savvy lagi mulia.